Slow Cooker Italian Pulled Chicken Sandwiches are an easy, filling, & flavorful summertime dinner option — and the chicken itself is both gluten free & low carb, so easily adaptable to different diets if you serve on a low carb wrap or gluten free bread. So I was thinking this week: You know how it’s super easy to make either salsa pulled chicken for tacos or BBQ pulled chicken for sandwiches in the Crock-Pot? And you know how it’s also super easy to make Italian beef sandwiches in the Crock-Pot? Well, why not take inspiration from all of the above and make up a batch of Slow Cooker Italian Pulled Chicken Sandwiches instead… just to mix things up a little! And how happily things did mix up in today’s Sunday Scratchups, your weekly recipe from scratch around grocery sales and affordable ingredients. Chicken prices have been on a downswing lately, so watch for sales at your own local store — then just add a few simple pantry ingredients and a pack of rolls or bread of choice in order to create pulled Italian chicken sandwiches for all. Trim chicken and arrange it in the bottom of your slow cooker, then season with Italian seasoning, sea salt, and pepper. Add garlic cloves, then pour the tomato sauce and diced tomatoes over the chicken. Add the pepperoncini along with their liquid, then cut butter into several smaller pieces and scatter across the top. Cover and cook on low for five hours. Remove and discard peppers, then shred the chicken. 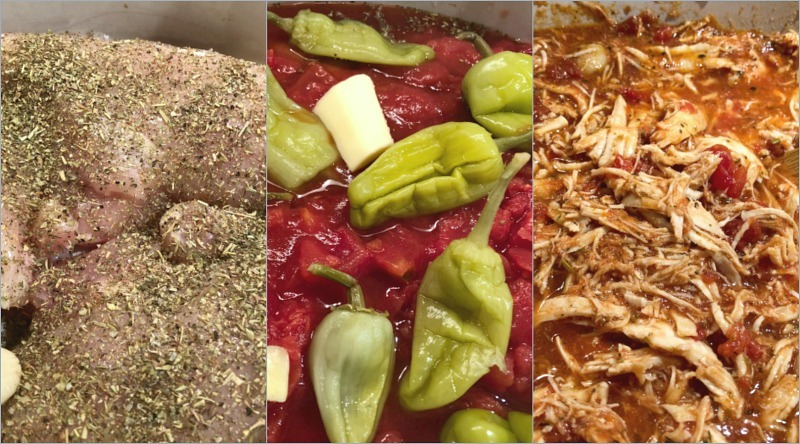 Serving suggestion: Serve pulled Italian chicken on deli or French rolls and top with some of the “juice” from the pot, along with sliced mozzarella or provolone cheese. Note: I used Havarti on ours, because we were out of mozzarella. 😉 Your own favorite kind of cheese would do! 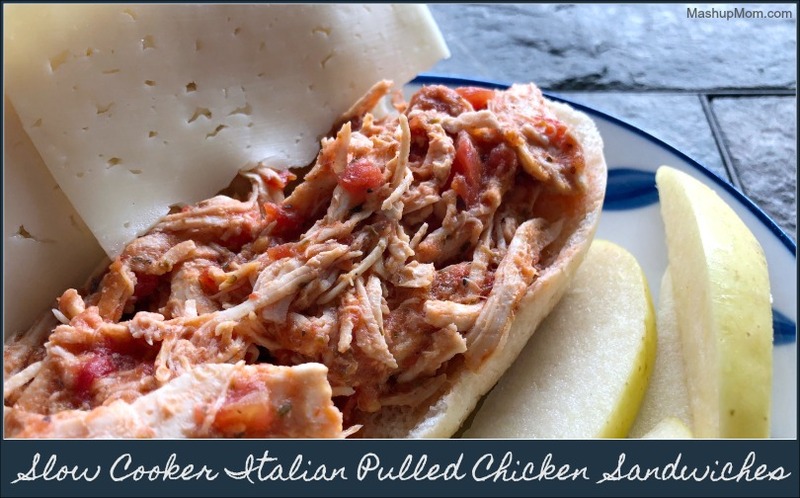 Easy Crock-Pot Italian Chicken makes great sandwiches! I think that the kids’ reaction to these was something along the lines of: “GOOD!” — granted, though, their words were slightly garbled due to their mouths being crammed full of pulled chicken sandwich. That in and of itself is a compliment, right? 😉 Just that little bit of butter helps balance out the tangy tomatoes and peppers, while the pepperoncini and Italian seasoning add depth to the tomatoes and make this the perfect sandwich fare. 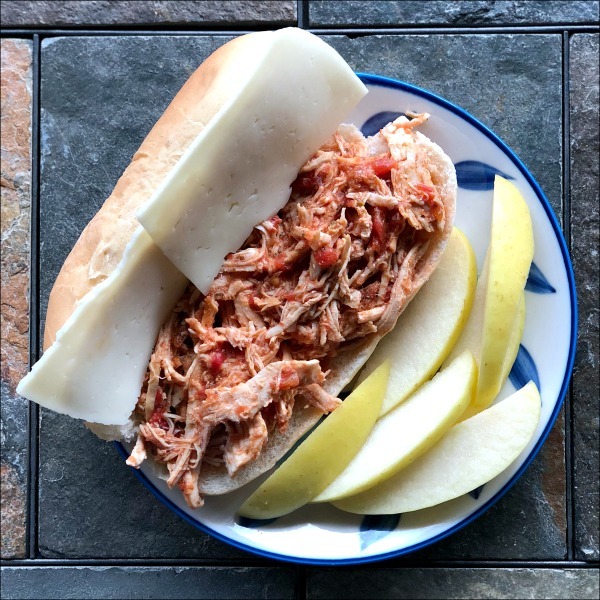 Slow cooker Italian pulled chicken makes a great summer meal idea; you can avoid heating up your kitchen with the oven, but still end up with a filling dinner that’s easily balanced out with some seasonal fruit on the side. Plus, you should end up with some nice leftovers for lunch the next day! 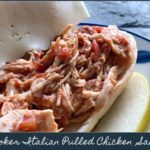 Slow Cooker Italian Pulled Chicken Sandwiches are a filling & flavorful summertime dinner option -- and the chicken itself is both gluten free & low carb, so easily adaptable to different diets if you serve on a low carb wrap or gluten free bread. Trim chicken and arrange it in the bottom of your slow cooker, then season with Italian seasoning, sea salt, and pepper. Add garlic cloves, then pour the tomato sauce and diced tomatoes over the chicken. Add the pepperoncini along with their liquid, then cut butter into several smaller pieces and scatter across the top. Serving suggestion: Serve pulled Italian chicken on deli or French rolls and top with some of the "juice" from the pot, along with sliced mozzarella or provolone cheese. I used Havarti on ours, because we were out of mozzarella. 😉 Your own favorite kind of cheese would do! Have you ever made this in the instant pot? I’m trying it right now since I didn’t start dinner early enough ? I have not — it’s just something I threw together — but I’d think it should convert very well. It ended up coming out great. My chicken was frozen when I started, and it came out just fine. Great dinner! Made it in the pressure cooker, quick and delicious. This is fantastic! Thank you so much for sharing this delicious recipe! For everyone who made it in the Instant Pot, what was our time conversions?! 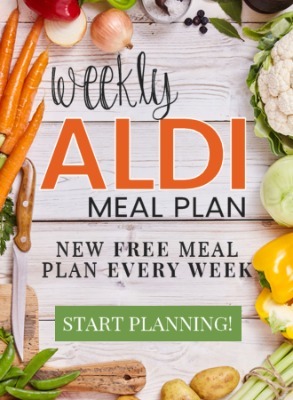 I’m just starting to drift from IP only recipes and give some Slow Cooker recipes a go in the IP! I was thinking 15 mins on manual setting for this…what did everyone else do? How spicy was this? It sounds amazing, I just want to make sure it’s kiddo friendly, too! It’s really not very spicy. Pepperoncini are mild, and you’re using it across a good amount of chicken + the tomatoes, so it’s more tangy than spicy. Did anyone make this without the pepperoncini? Forgot to get it during my last shopping trip! I’m wondering the same thing! Did you make it without them? How was it?